​Here’s a list of resources that you will find valuable in your financial journey. These companies provide products and services that help you save money, make money, or manage your money better. This quick reference page is easy to access and can be referenced quickly whenever you need to come back. ​Disclosure: This page includes some affiliate links and I may receive commissions when you use the links in this post. This hasn’t influenced my opinion of these companies and their services. I’ve verified and researched each of the companies on this list and highly recommend them. ​You can use Credit Sesame to access your credit score for free, no strings attached and no credit card required. You don’t lose any points when you check your own credit score and using Credit Sesame allows you to check your score as often as you’d like. You can check to see whether your credit score is going up or down. For a money management software, I highly recommend Personal Capital. With this software, you can track your net worth, analyze your investment portfolio, plan for your retirement, and more all in one place. ​Refinancing your student loans can make repaying them much easier and relieve some headache in your budget. Consider using Credible to refinance your student loans, saving thousands of dollars, and reducing the reducing your repayment time, all at once. As a Debt to Zero reader, you can get a $100 bonus by refinancing your student loans through Credible. ​SoFi provides competitive personal loans, mortgages, and student loan refinancing. As a SoFi customer, you’ll also have access to members-only networking events around the country. With Ebates, you can earn cash back for many of your online purchases. When you’re online shopping, start at Ebates rather than going straight to the website of the store where you’re shopping. Then, from Ebates, then click to the store you want to shop through and make your purchases as normal. These stores pay Ebates a commission for referring you and Ebates will happily split the commission with you. Sign up through my link and get free $10 cash back on top of the rebates you earn. $5 MealPlan is a well-known personal financial management fact that you can save hundreds of dollars each month by eating more meals at home rather than eating out. These meal plans provide you with an exact shopping list to grab the ingredients to create the meals. For just five bucks a month, the this service saves hours of meal planning time. ​When I travel, I like to stay in a short-term rental vacation home, like an Airbnb. They’re often less expensive than a hotel and include a kitchen, so you can save on food costs. And if you’re traveling with a group, renting an Airbnb lets the group stay closer together comfortably and allows you to split the cost of an Airbnb rental much easier than you could with a hotel. This link will give you a $40 Airbnb coupon code that you can use on your next stay. Lyft also lets you use an app to have a driver come pick you up and drop you off at your destination. You can even set multiple destinations in one trip. Use this link to get your first Lyft ride for free. ​VIPKid is an online teaching platform for Chinese children. If you have a knack for sharing knowledge, this is a great way to help others and earn some extra cash. You only need a bachelor’s degree in anything and experience working with children ages 5-12. In addition to the base pay for teaching classes, you can earn additional bonuses for things like finishing your classes on time and teaching more classes per month. ​Pinecone Research pays you for each survey you complete. You’ll have the option to receive cash or merchandise for every survey you complete through them. Many surveys are completed online and sometimes they send a product for you to test out. ​Survey Junkie is one of the most well-known and well-respected online survey companies. When you signup, you’ll complete your profile so Survey Junkie can match you up with the best surveys. As you complete surveys, you’ll accumulate points that you can redeem for gift cards or cash back. 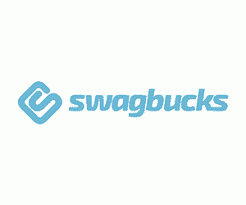 ​With Swagbucks, you can earn money through your internet searches, surveys, shopping, completing polls, and by inviting your friends. You’ll earn points that you can redeem for gift cards or cash. You can even use points to donate to charity. 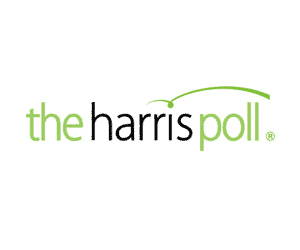 ​Harris Poll is another survey site you can add to your list. Like others recommended here, you’ll earn points each time you complete a survey. Harris Poll doesn’t allow you to redeem your points for cash, but you can redeem them for e-cards and gift vouchers from many popular retailers like Walmart, Starbucks, and Amazon.